One of the main questions we receive from clients is “what is the best time of day for our family photography session”? That is a great question and the short answer is 7-:730 PM, if you want to catch the sunset. Actually the best time changes throughout the year. 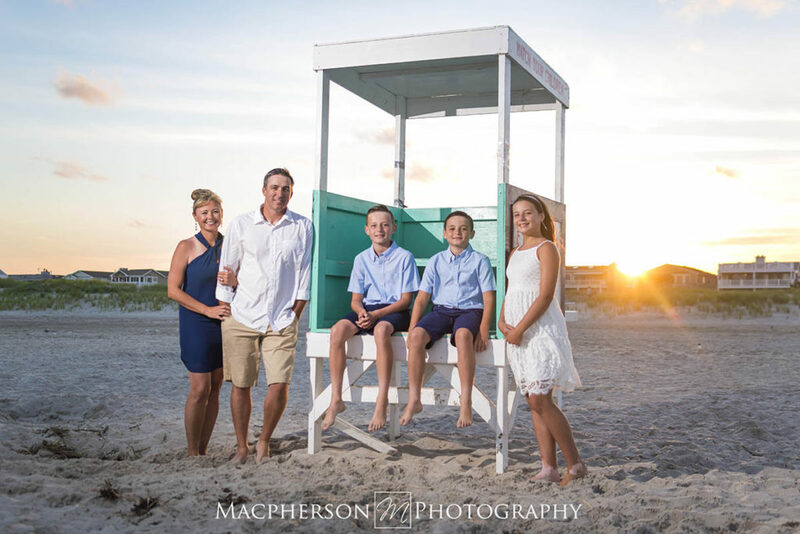 After years of being the best family beach photographer in Ocean City New Jersey we try and schedule around what we have found to be the perfect time. When we start our busy season around Memorial Day the best time is later on in the evening. The sun doesn’t really go down till about 8 PM. That means it’s still really bright even at 7 PM. So from June to the end of July we try to start around 7:30. We can always move the time up if we have to but we usually miss the best light. Sometimes families have toddlers or babies that need to go to bed at a certain time so photographing later just isn’t possible. From August through September the days get noticeably shorter. Even the sunset gets shorter and faster. August we try and start at 7 and once Labor Day weekend is here we try to start at 6:30. If you are coming around Labor Day weekend just keep in mind it’s the stormy season. We usually get a good rain storm around that time of the year. We are extremely efficient while photographing the sessions so the time factor is never a huge issue. If you any questions at all or would like some more info you can contact us and we will get back to you right away! Hopefully we see you this summer in Ocean City! Great advice. I noticed a big difference between the beginning of summer and the end of summer when the sun goes down. We had photos done one year at 6 PM and it was so bright everyone in the family was squinting. I always schedule for a later time now. I like the time of day right after the sun goes down below the horizon. It’s always so beautiful and peaceful.